An important factor in the construction of our type of timber frame is that the complicated joinery in the structure is prefabricated. This saves time and money by allowing the structure to take shape in a simple assembly line style--where all parts are measured and marked to match the working model. The joinery process usually takes between two to three months, and is generally completed by the time the building permits are issued by the local authority. 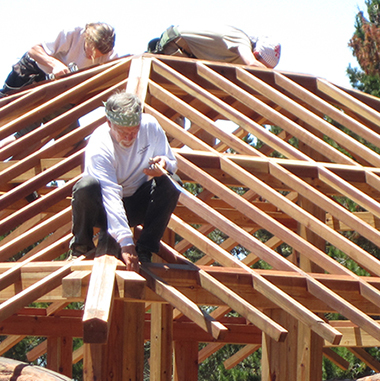 Copyright © 2014, Santa Cruz Timberframes. All Rights Reserved.